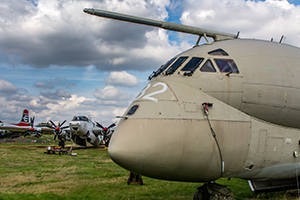 The Shackleton Aviation Group are the custodians of former RAF Avro Shakleton, WR963. 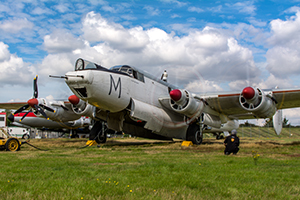 Their goal is to return the aeroplane to the skies as a flying memorial to all Shackleton units and personnel that served between 1949 and 1991. They hold many open days throughout the year at their home base, Coventry Airport. 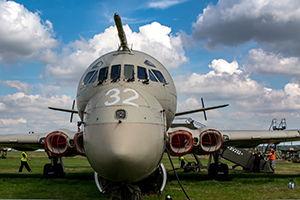 They are also accompanied their by the Nimrod Preservation group, who take pride in keeping Hawker Siddeley Nimrod, XV232 in tiptop condition. 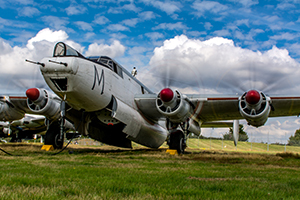 The Avro Shackleton, designed by Roy Chadwick was a development of the Avro Lincoln which itself was inspired by the more famous Avro Lancaster. The Shackleton is Powered by 4 Rolls Royce Griffon engines which turn huge Contra-rotating propellers, the sound of which give it the nickname ‘Growler’. 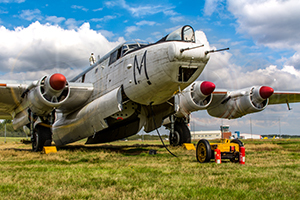 WR963 was first flown on 11th March 1954 and has served under many squadrons and performed several roles including maritime reconnaissance and AEW (Airborne Early Warning). On 9th July 1991 WR963 was delivered to Coventry Airport where it has remained ever since. Clocking up 15,483 flying hours so far, but the airframe still has life in it yet. The weather was superb for this event; sunshine, bright blue skies with just enough cloud to really enhance your photographs. 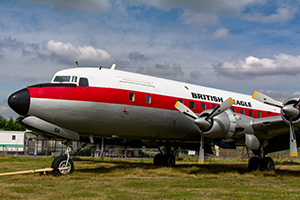 Until recently, Coventry airport was home to Air Atlantique, which will be well known to any seasoned air-show attendee. 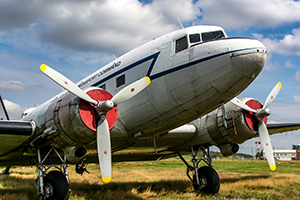 At present many of the former aircraft from this flight are still present and visible at the airport including a DC-6, a Scottish Aviation Twin Pioneer and a brace of Douglas Dakota’s. A sneak peak in the ‘Airbase’ hangar also revealed a gold mine of airworthy classic jets, most of which are sadly bound for America. Today’s open day was supported by displays from the local police and fire brigade as well as one beautifully kept Morris Minor. The DC-6 Diner was also open for business, but, the main attraction was the two ‘live’ aircraft; the Shackleton and the Nimrod. There was plenty of chance to view and board both aircraft before and after the two engine runs. 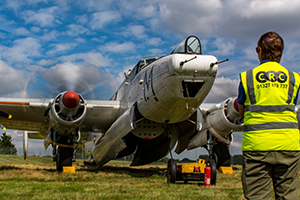 The first run today was from the Avro Shackleton. Sadly, only three of the Griffon engines were up and running, but the sight and sound was awe-inspiring and offers a tease of what it would be like to see one of these displaying at an air show in a few years’ time. The run lasted for about 10 minutes allowing plenty of time for the crowd of around 50 to enjoy the growl of the engines and the smell of burning oil. Almost immediately after the mighty Griffons were shut down, all attention turned to the Nimrod. 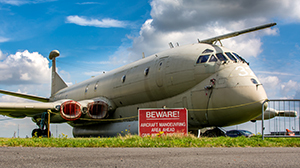 On 11th May 2010 Hawker Siddeley Nimrod XV232 landed at Coventry Airport, where it has remained ever since under careful watch of the Nimrod Preservation Group. 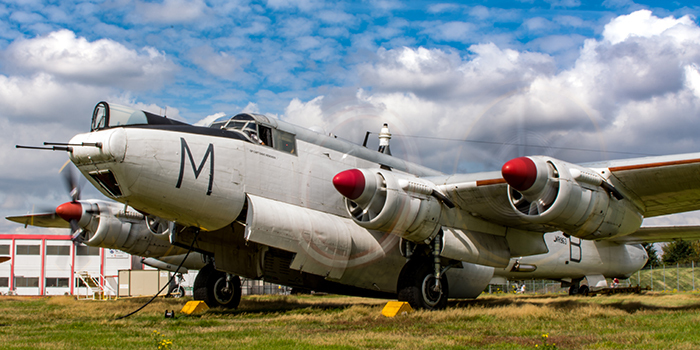 XV232 is a veteran of the Falklands War, where it set (and still holds!) the distance record for a reconnaissance flight, covering 8,453 miles in 18hours and 50 minutes. Without great moving propellers the visual spectacle of an engine run cannot compare with the Shackleton, but what the Nimrod lacks in aesthetic it makes up for in noise. 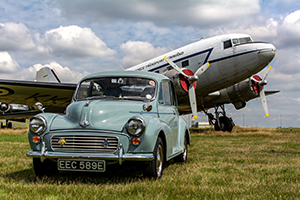 This is not a big event on the aviation calendar, but for just �5 you can witness two classic cold war aircraft fire up their engines and see a whole host of other airframes around the site. 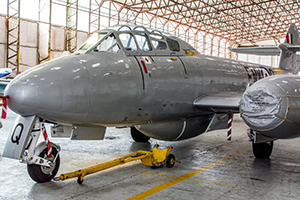 There are currently no other flying Shackletons left in the World, but if the public can continue to support this project this will not be the case. 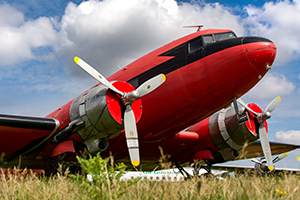 The next open day/engine run will is scheduled for October 21st , check the websites and Facebook for details.